Happy Canada Day! 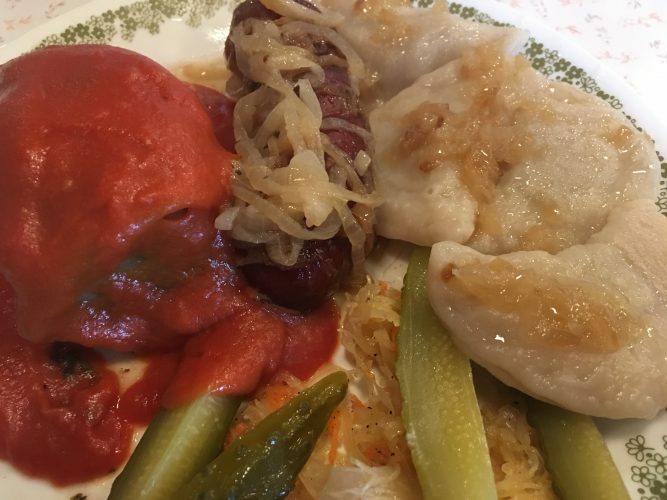 This long weekend always rekindles childhood memories of visiting my Granny’s house and enjoying a massive Polish meal, complete with all the fixins. 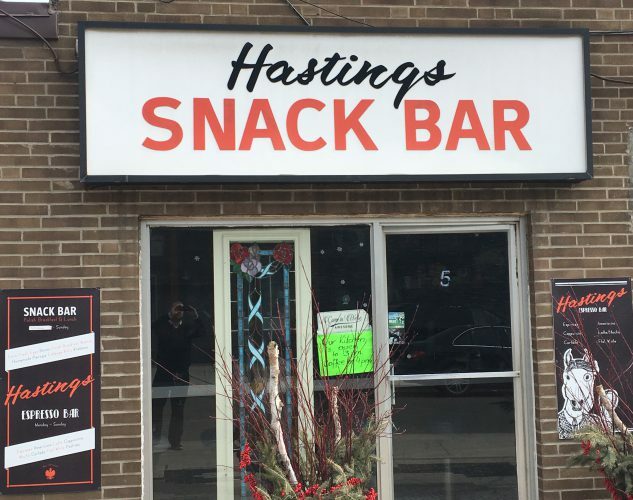 Frequenting the Hastings Snack Bar brings me right back… Family run, Polish comforts with a throwback decor that feels just like home. This Mom-and-Pop-and-Daughter in the heart of Leslieville is not to be missed. I’ve even brought a couple of my Roncesvalles friends to this breakfast & lunch counter, and they’ve totally fallen for the place. In terms of the food at Hastings Snack Bar, I find it quite difficult to not start things off with a bowl of their zupa du jour ($6). Hearty Chicken Noodle is often in rotation, as is Sour Pickle. Their show-stopper (imo), however, is the Zurek. 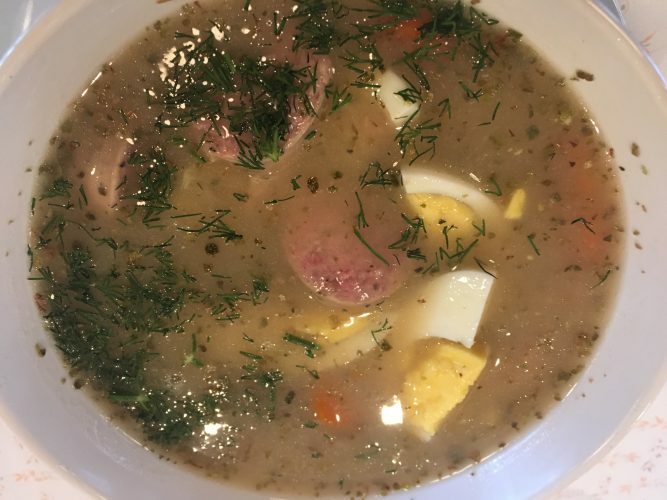 This white borscht is full of sausage, hard-boiled egg and fresh dill. Their last batch was so fantastic, I couldn’t help but order another bowl. Pair it with a sausage-on-a-bun or a kielbasa melt, and you’ve got yourself quite the lunch combo. 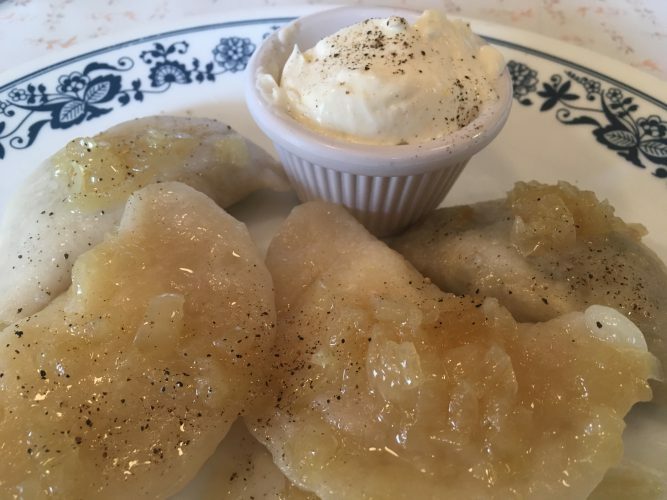 Hastings Snack Bar is probably best know for their Pierogi. There are four savory and two sweet renditions on the menu at all times. 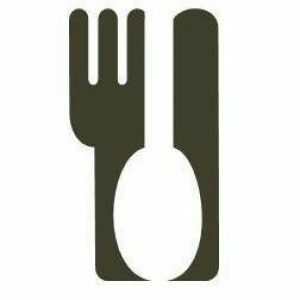 My go-to are the mushroom and sauerkraut; my daughter loves the blueberry with whipped cream. Get them in servings of 4, 8 or 12; you won’t be disappointed. Dare I say it? These are as good as Granny used to make. 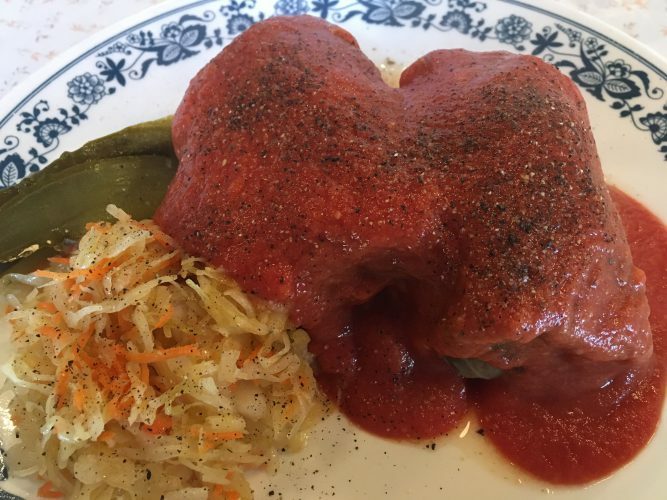 Their Cabbage Roll platter is possibly the best deal on the menu @ 2 for $10. This is a delicious and filling plate of food, with sweet tomato sauce lathering extremely dense pockets of goodness. If you can’t decide between the Pierogi or Cabbage Rolls, they offer-up the whole kitchen sink (aka Tata’s Lunch Platter). For $15 you get your choice of pierogi, a cabbage roll, a sausage link and sauerkraut + pickles. 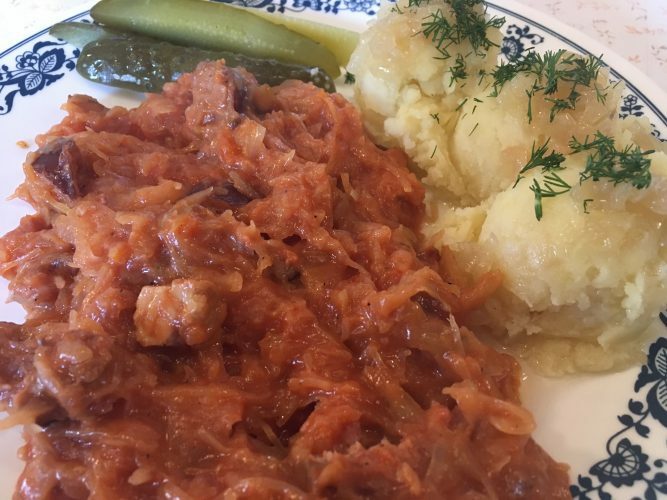 Be sure to look for daily specials on the chalk board, as they will often do an outrageous pot of Bigos (pork & sauerkraut stew) that’s worth the price of admission. Weekends are an especially busy time at Hastings Snack Bar, satisfying the locals with kielbasa & eggs, potato pancakes, paczaki, and legit coffee-based drinks. It’s safe to say that I am happy to eat anything from their menu at any time of the day. 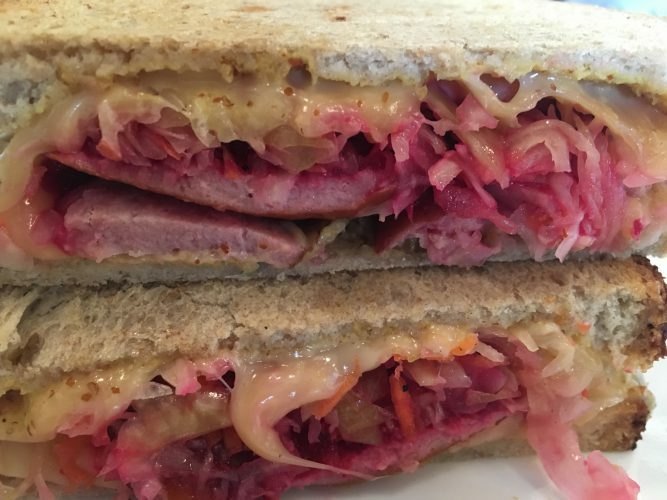 It’s so nice to have these Eastern-European comforts on the eastside of town. This place is so close to home, both literally and figuratively, that I just can’t get enough. John Tavares is going to love eating here:) Happy Canada Day, y’all!